Here are earrings for bird fans everywhere. 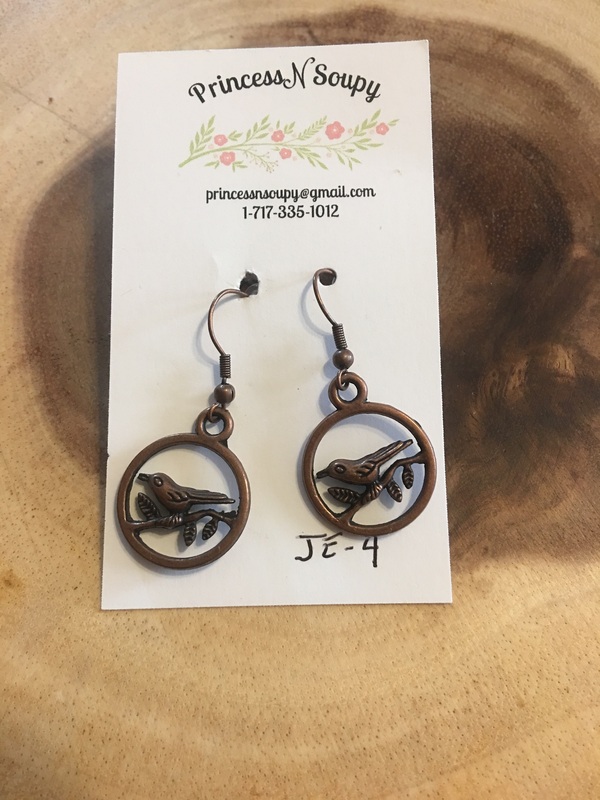 Dangling at about 1.5 inches in length, these one with nature earrings present a lighter bronze circle with a bronze bird in the center. They are great for every day wear.